What Information Does LEADon Collect and How is it Used? You can browse most portions of our Site without revealing any Personally Identifiable Information. If you want to register or place an order of goods/services, you will be required to provide Personally Identifiable Information (such as name, postal and e-mail addresses, phone and billing information) and demographic information (such as ZIP code, gender or age). We use this information to send our users information about our Site and to contact the user when necessary. From time to time, LEADon or its affiliates may also use your registration information to send you offers and promotions that may be of interest to you. By providing your contact information, you give us permission to send you such materials. Users may opt-out of receiving certain future mailings. See the Choice/Opt-Out section below. Demographic and profile data is also collected during registration. We use this data to tailor the user’s experience at LEADon, showing users content we think they might be interested in, and displaying the content according to their preferences. This information is shared with advertisers on an aggregate basis. Credit card information collected at registration or for orders is transmitted over a secure SSL connection and is used only to process payment for the transaction. Does LEADon Share Personal Information? Our Site provides users the opportunity to opt-out of receiving communications from LEADon at any time through our Unsubscribe page. Please allow 45 days for your opt-out request to take effect. 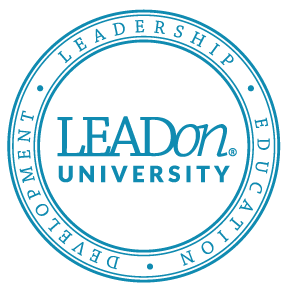 Note that regardless of your opt-out selections, LEADon may continue to correspond with you, via e-mail and other communications means, in connection with your customer relationship with LEADon. We take reasonable measures to ensure that any Personally Identifiable Information we collect is accurate, current, complete, and reliable for its intended use. If you wish to update or otherwise correct Personally Identifiable Information that you have provided to us, you may contact us by using the “Contact Us” link on the Site and we will assist you. A “cookie” is a small data file transferred to your computer’s hard drive that allows a website to respond to you as an individual, gathering and remembering information about your preferences in order to tailor its operation to your needs, likes, and dislikes and save you from re-entering information you have already provided. Cookies also enable an Internet retailer like LEADon to keep track of a consumer’s electronic “shopping cart” before completing a purchase. Overall, cookies are safe, as they only identify your computer to customize your web experience. Accepting a cookie does not provide us access to your computer or any Personally Identifiable Information about you, other than the information you choose to share. Other servers cannot read them, nor can they be used to deliver a virus. To support personalized features (such as electronic shopping cart and other ordering and browsing functions), we must send a cookie to your computer’s hard drive and/or use cookie-based authentication to identify you as a registered user. We do not, however, use so-called “surveillance” cookies that track your activity elsewhere on the web. How does LEADon work with other companies and how do these relationships affect user privacy? In response to concerns about protecting children’s privacy online, Congress enacted the Children’s Online Privacy Protection Act of 1998 (“COPPA”), which sets forth rules and procedures governing the ways in which websites may collect, use and disclose any personal information for children under the age of 13. In accordance with COPPA regulations, we DO NOT: Request or knowingly collect Personally Identifiable Information online or offline contact information from users under 13 years of age; or knowingly use or share personal information from users under 13 years of age with third parties. It is possible that by fraud or deception we may receive information given to us or pertaining to children under 13. If we are notified of this, as soon as we verify the information, we will immediately delete the information from our servers.